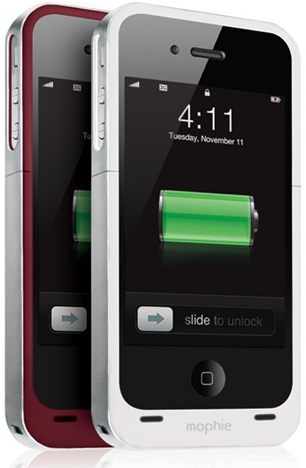 Mophie announced today that the Juice Pack Air battery case will be available for the Verizon iPhone 4 later this month and is expected to start shipping on Febuary 28th in black only for $79.95. It looks like Mophie decided not to make their Juice Pack Air dual compatible with both the AT&T and Verizon iPhone 4. No word on if the Juice Pack Plus will also be available for the Verizon iPhone 4 as of now. You can hit the source link to pre-order the Juice Pack Air for the Verizon iPhone 4.